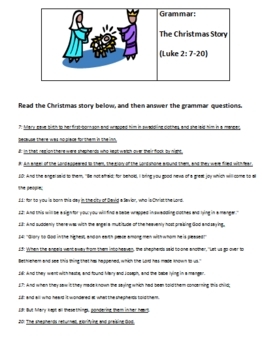 It contains the Christmas story from Luke in the Bible. After the story, the students are to complete a multiple choice question section based on the text. 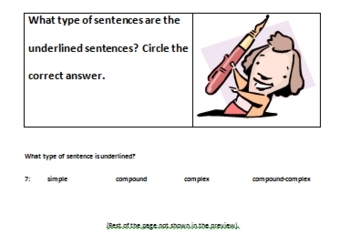 The grammar worksheet addresses the different sentence structures--simple, compound, complex, compound-complex--and the different phrases and clauses. It would be good to teach or review grammar concepts.